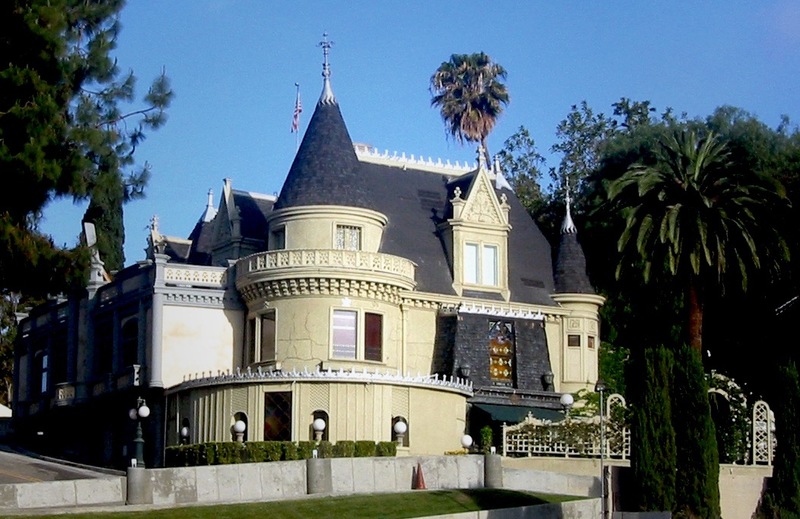 The next stop on the Varsity Math vacation is the Magic Castle in Hollywood, CA. It comes as no surprise that there’s math lurking behind some of the tricks. One of the performers in the Parlour of Prestidigitation has an unusual card trick. This magician has a set of cards labeled with the consecutive numbers from one through (A – 12)/20, where A is the answer to last week’s Fractured Fruit problem. The magician quickly lays out the cards in a triangular fashion, with one card at the bottom, then a row of two resting on that one, then a row of three cards in which each rests on the one or two below it, and so on. 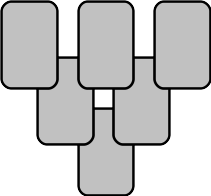 Each card rests on two cards in the row below, unless it is at an end of its row, in which case it rests on just the end card of the row below. (See the diagram.) The magician says “See this? The number on every card is the difference of the two numbers shown on the two cards resting on it. I’ll bet you your dinner tonight that you can’t reproduce this pattern in two minutes.” One of the team members steps up to the challenge, but sadly takes 121 seconds to find the solution, just missing the free dinner. What is the sum of the values appearing on the cards which do not touch any of the three edges of the triangle, when they are arranged as described by the magician? 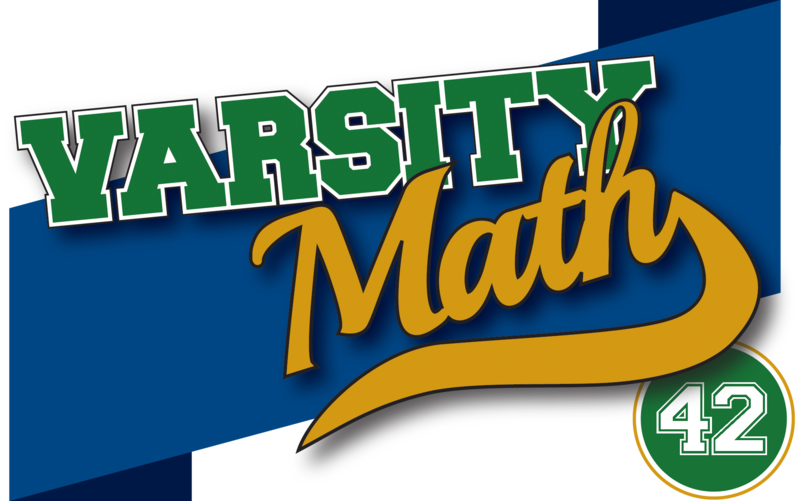 In the Palace of Mystery, the Varsity Math team is subjected to another challenge. “Step right up,” calls one of the performers. “I have here fourteen authentic gold doubloons. Ah, well, I cannot tell a lie — one of the doubloons might not be authentic, but for sure the leftmost one is. If there’s a fake doubloon, it’s either heavier or lighter than a real doubloon, but I can’t remember which. Here’s a two-pan balance scale. You can put any coins you like on either side, and it will show you whether the left group of coins is heavier, lighter, or the same weight as the right group of coins. I’ll bet you I can determine whether there is a counterfeit coin, and if so which one it is and whether it is heavier or lighter, using the scale fewer times than you.” This bet turns out to be a draw; both the magician and the intrepid Varsity mathlete manage to do it in the minimum number of weighings that is guaranteed to always work. A Day Late and A Fence Short. To solve this one, you’ve got to think outside the (rectangular) box. Create a regular hexagon with six of the panels. Divide it into six equilateral triangular pens using the other six panels to go from each of the corners to the center of the hexagon. Each triangular pen has an area of 100√3/4 sq. ft., or approximately 43.3 sq. ft., so all of the hog owners will be happy.